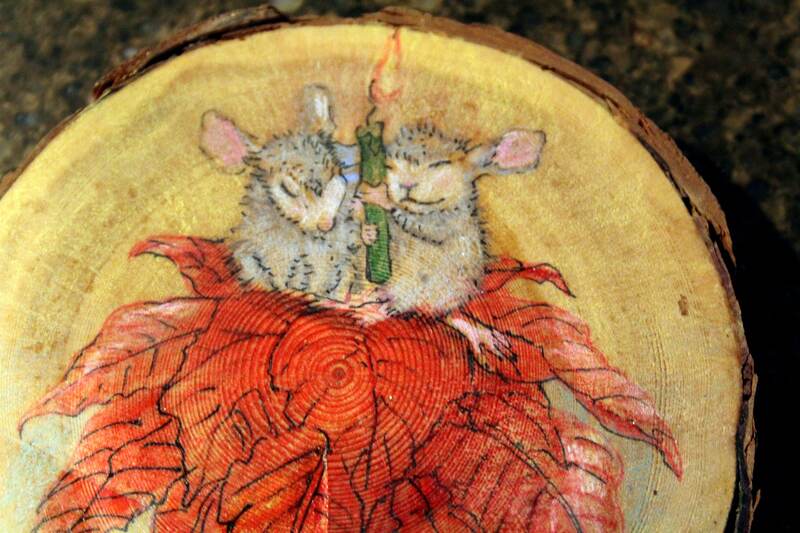 The cute little fellows in this painting are done on native Montana on birch wood are sitting atop a red poinsettia plant, a Christmas symbol. They are holding a green wax candle between them. 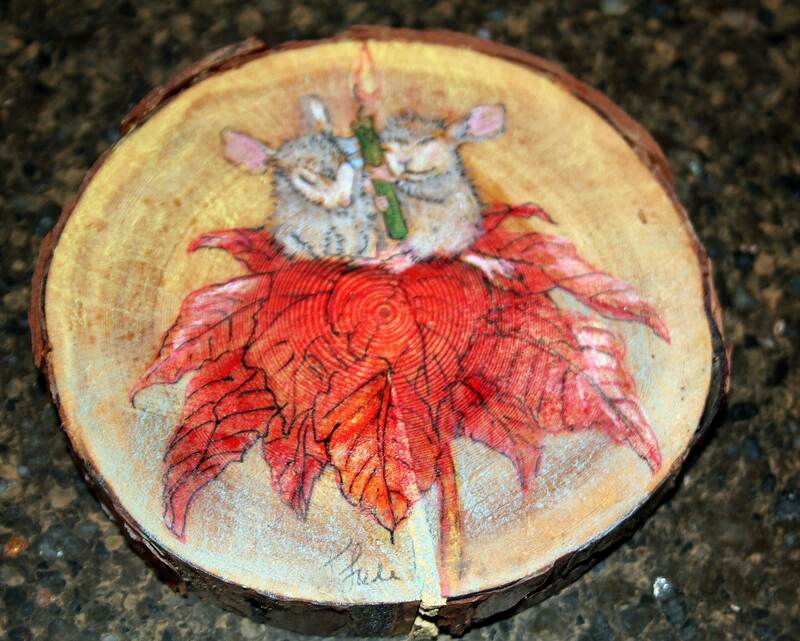 The mice and the flower are done with Prismacolor and acrylic on a 6 inch diameter round birch wood slice. There is a saw tooth hanger on the back for hanging on the wall. The wood is sealed with acrylic varnish to preserve and protect it. This painting would be cute in a cabin, kitchen, or with other holdiay decor. Shipping costs will be have to be determined by your location because of the weight variables and international rates will vary.